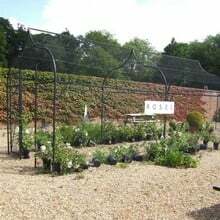 The Ogee Arch Fruit Cage brings all that is good about our Ogee Arch together with our fruit cage manufacturing experience and the result is a stunning cage of exceptional build quality. The Ogee Arch Fruit Cage brings all that is good about our Ogee Arch together with our fruit cage manufacturing experience; and the result is a stunning cage of exceptional build quality. All Ogee Arch Fruit Cages stand 2.5m wide and with four lengths available - 3m, 6m, 9m and 12m - there should be a cage to fit into every fruit and vegetable growing location. 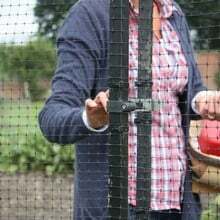 The height to the top of the end mounted door is 2m and with a whopping 2.91 of head height available inside, your fruit growing options are almost limitless. 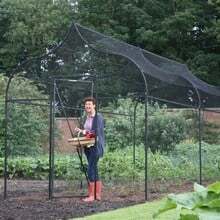 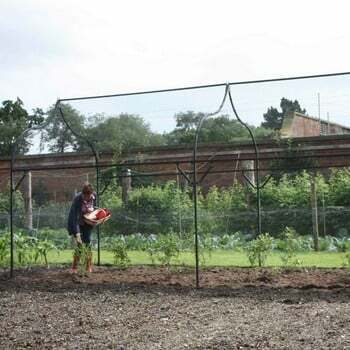 Each Ogee Arch Fruit Cage is supplied complete with 16mm mesh heavy duty side netting, shaped 19mm knotted mesh roof netting, a door kit and all the pegs, clips and ties required for assembly. 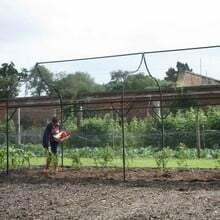 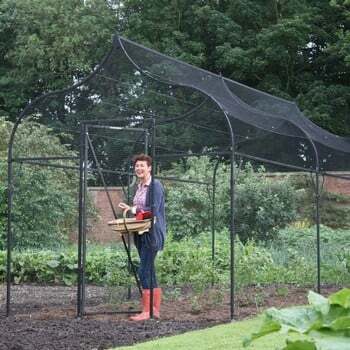 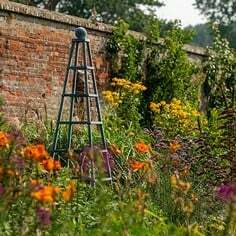 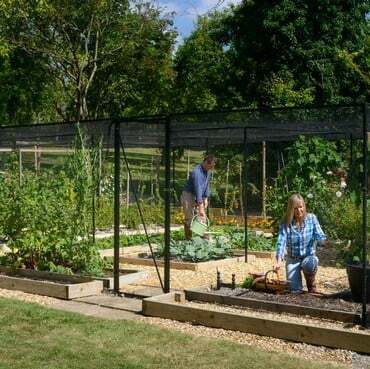 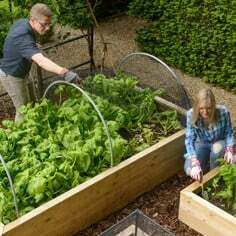 The framework is well known to existing steel fruit cage customers and the unflinching 25mm x 1.5mm thick, galvanised inside and out black powder coated steel is guaranteed for 10 years. 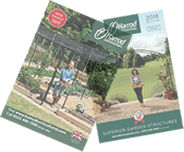 You'll find the stunning roof lines of the Ogee Arch Fruit Cage are achieved with help from the galvanised wire roof supports and for those hardy fruit growers in exposed locations, optional braces are available to strengthen the frame - footplates, which add extra upright stability, are included in the kit for each upright. 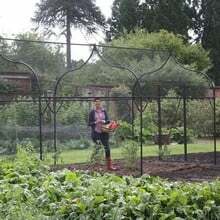 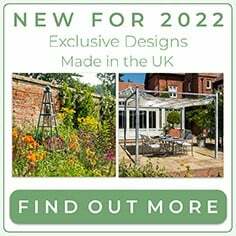 We've even made additional door kits available for those fruit fans who just can't get enough of the Ogee Arch Fruit Cage and need one of the longer sizes, allowing you to have a door at each end. Installing your cage on a sloping site? 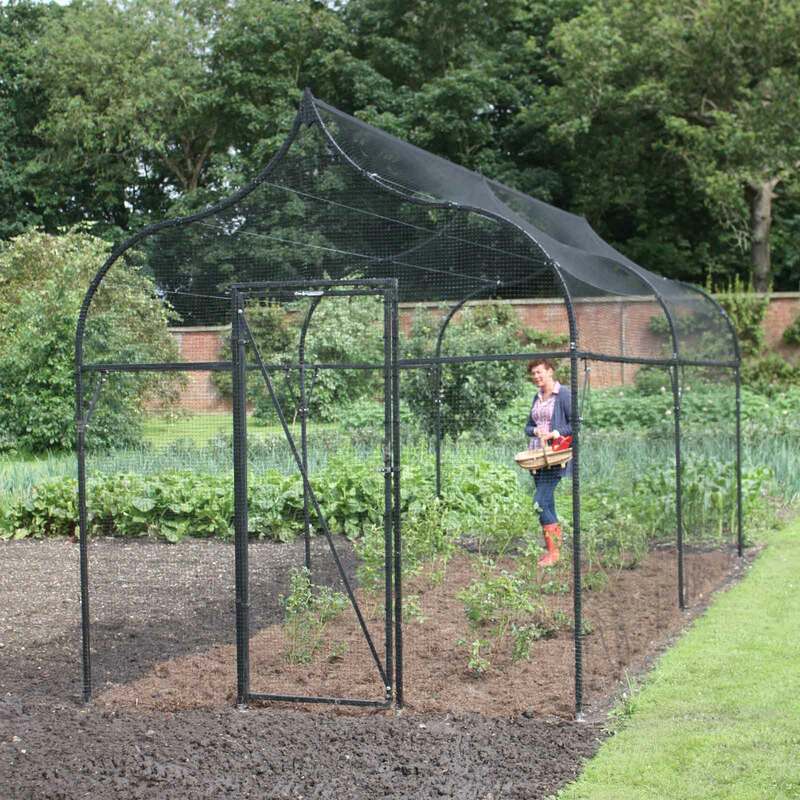 Can't see the size you want? 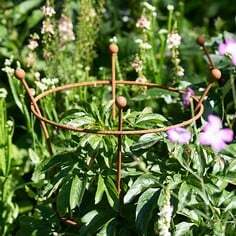 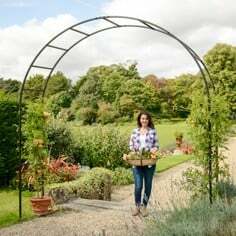 Our Expert Design Team have previously created an Ellipse arch fruit cage if you require a different shape, to a bespoke design. Cannot complain about the actual product - it does what they say - but the instructions are very poor. 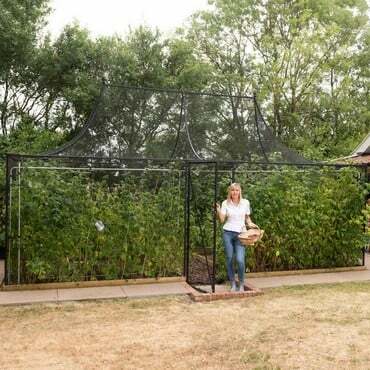 Also you need two tall fit and able people to build. 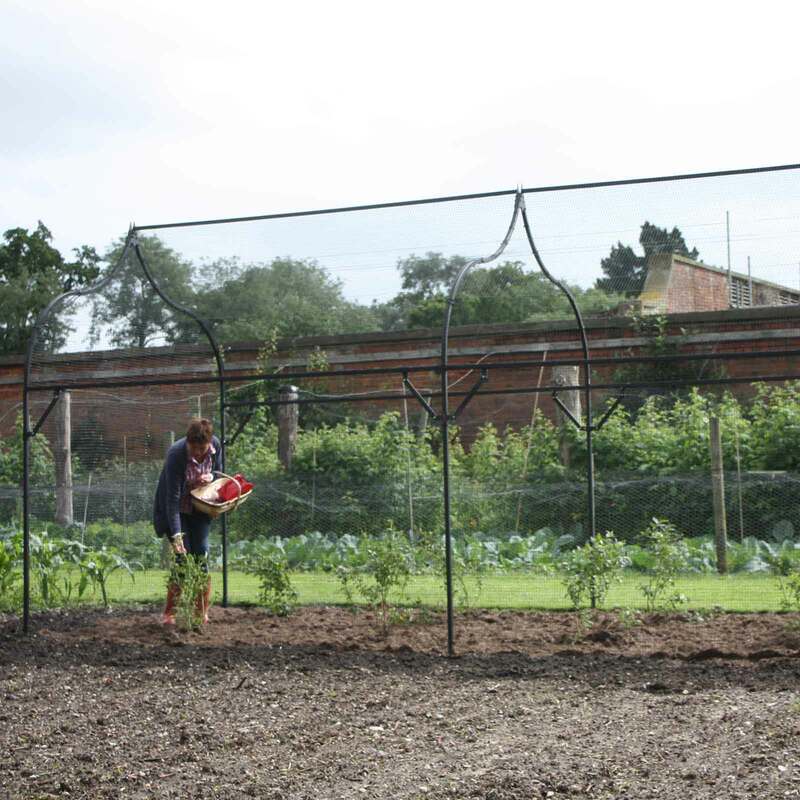 It looks good and does the job but took a lot longer to build and a few more basic tools required than I expected. 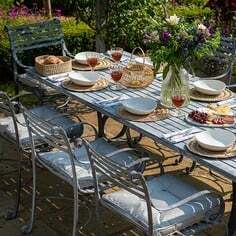 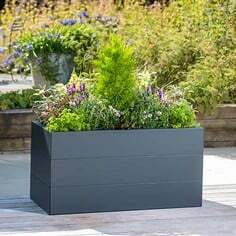 So buy with confidence re product but make sure you have help on hand to build and help with instructions!